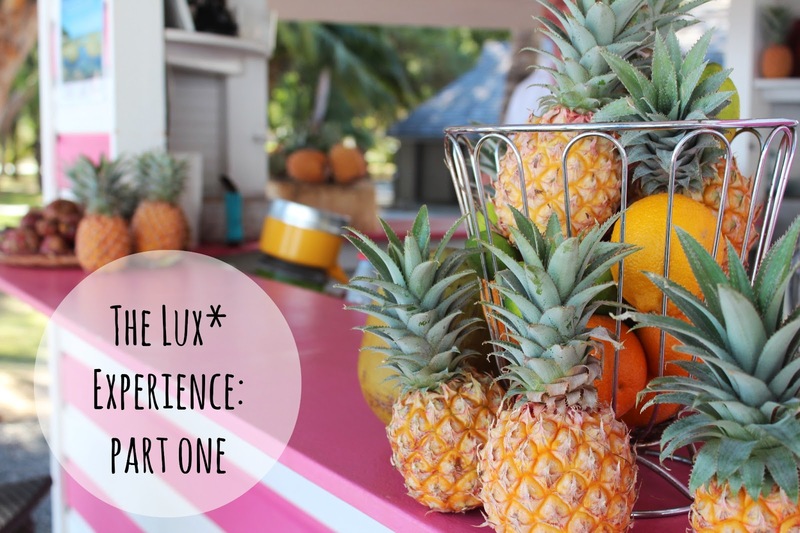 Part one of my LUX* experience began in the wonderful French island of Reunion – an absolutely gorgeous island in the Indian Ocean, not far from Mauritius. We stayed at the LUX* resort in Reunion, which is the only 5* resort there – and absolutely gorgeous. Right on the beach, where it is surrounded by lagoon – where I snorkelled for the first time and saw some amazing fish! The volcano, surrounded by solid lava. Soon after arriving and going on a tour of the hotel we stopped for lunch at The Beach restaurant. Stunning views and and food was delicious, if you love seafood then you would absolutely adore Reunion. My personal favourite of my time there had to be the tuna tartare – so fresh and absolutely fantastic! I have about a gazzilion gorgeous food photos but will save some of these for a later date. Post lunch and snorkelling we had a yoga session in the gardens – very relaxed and a suprising balance between challenging and chilling. It was different to the yoga I had done in the past as it was very breathing focussed above all else. Then after another gorgeous sea-food feast for dinner it was time for an early night before a 6am get up for exploring the island. One day was not enough! There is so much to see – including the absolute highlight which has to be going to see the volcano. It isn’t currently errupting, but it is a live one and it’s last lava erruption was in 2010 (which based on it’s history means it’s just about due another very soon – eek! One of the most surprising things about visiting the volcano was actually how the higher altitude really wipes you out. We had quite a climb to get down to and back from the volcano and after just a few steps on the way back you would find yourself panting due to the altitude making it harder to get the oxygen. Very odd feeling, I thought it was that I wasn’t actually as fit as I thought..but apparently it’s the altitude that will do that to you! After the visit to the volcano we then got to see a few more gorgeous gems of the island – lots of rugged and amazing coastline with huge waves I could have watched for hours. Plus some more serene beaches such as Grande Anse which was our final stop of the day to watch the sun go down. I feel like I have been here forever and for no time at all – all at the same time. Reunion was a whirlwind of activity with so much to see and do. As I write this though I am now over in Mauritius where things are decidedly more chilled – more on that coming in part two! I am a guest of LUX resorts. It looks so beautiful and your food looks delicious. Wish I was there!